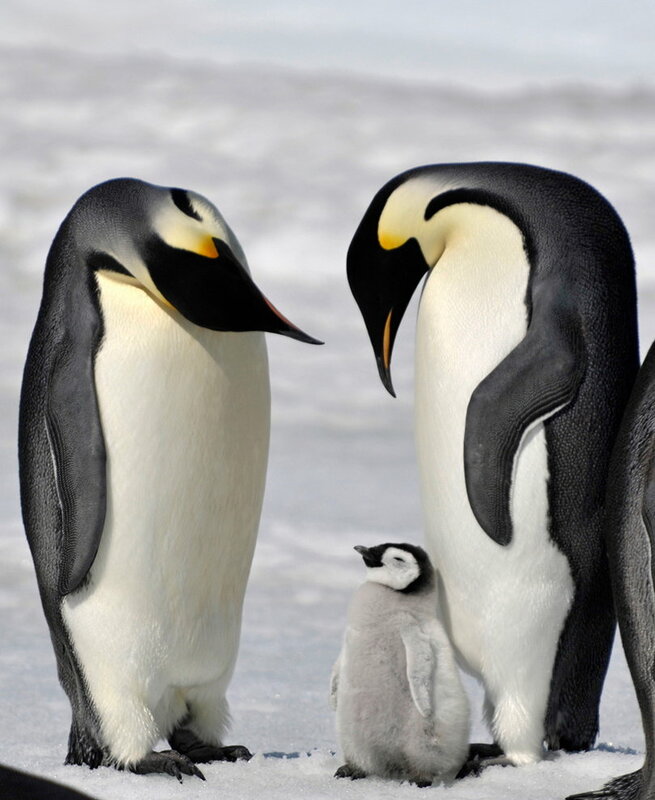 Emperor Penguin – Emperor penguins, the biggest of the 17 penguin species, stand 3 to 4 feet tall and can weigh as much as 100 pounds! They are the only living species to reproduce during the harsh Antarctic winter. Without a nest, the male keeps the egg warm by holding it on his feet under an abdominal fold of skin for 2 months! Unbelievable! What a Dad! !